-$1 Cellfire loadable HERE (I had already loaded mine to Kroger so I was only able to load -$.40 to my Randall's loyalty card thru Shortcuts. *You will need to register twice with different email addresses to be able to print a total of 4 coupons. Final cost = FREE plus earned a $10 ECB! Final cost = FREE + .51 overage! Okay, so I guess summer vacation is officially over and it is back to work we go!!! Sorry for the lack of posts. After my daughter broke her arm on the monkey bars, I realized I needed a short break. So the kids are off to school, my computer crash has been fixed finally, I have the house back in order (kind of) and I'm ready to start sharing the savings again!! I have really missed out on all the great deals this past month. A lot of you raked in on all the freebies and savings!! I am quite green with envy. I'll be checking out today what is available and what are some great deals. Looks like CVS has LOTS of ECB and freebie opportunities and Kroger's continued Mega Event looks great! Walgreens even has some deals going (it's been a while it seems). So I will let you know later today what I find! It's good to be back, thanks to everyone for all your sweet emails. I missed my readers! Old Navy One Day Wonder Sale Tomorrow 8/22 !!!! 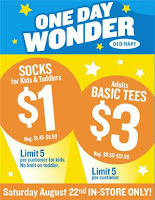 Tomorrow, Saturday 8/22, Old Navy will have Adult Basic Tees on sale for $3 and kids/toddler socks on sale for $1!!! The limit on both sales is five per customer! What a great back to school shopping deal! So just like the tank top and flip flop sale, you may want to shop early to be able to snag yourself a great deal before they run out! Good Luck! 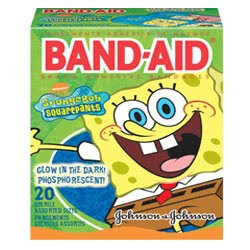 Free Band-Aids and Money Maker at Walgreens! 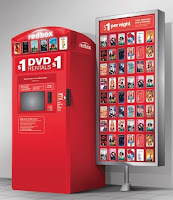 Final Cost after coupons and RR = FREE plus $1.42 money maker! Betty Crocker Fruit Snack Deal at Randall's/Safeway - LAST DAY!! 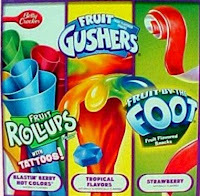 Here's a Fruit Snack deal at Randall's I just discovered. Today is the last day you can snag this great SWEET deal so you might want to get moving! Kroger SW Region Doubles Manufacturer's Coupons UP to $1 TOMORROW ONLY!!! Finally, Texas/Louisiana (southwest) Kroger customers get the price buster deals that all the other Kroger regions have been snagging! Tomorrow ONLY, Kroger's southwest region will be doubling coupons up to $1! Kroger will double Manufacturer's "Cents Off" coupons valued between $0.40 and $1.00. Kroger will continue to triple Manufacturer's "Cents Off" coupons valued up to $0.39. 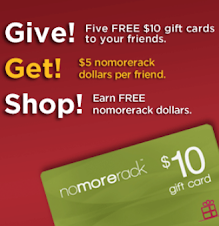 Coupons greater than $1.00 will be redeemed at face value. Valid with Plus Card. Limit 1 like coupon per transaction. No cash back. Manufacturer's coupons issued in store do not apply. There are going to be lots of great deals and FREEbies with this promotion. Check out the coupon match list zoey'smom has put together HERE to help you snag some of the great deals tomorrow. To see if your local Kroger is participating click HERE to view your local weekly ad. Of course, the one day that Kroger's southwest region is doubling coupons up to $1, I will not be around. Even though, I will be missing out, let me know all your great finds or email me a pic of what you snagged at swcouponclipper@att.net . Have fun and good Luck! Thanks to GoodOrFreeDeals for putting this weeks deals together! =$.58/2 Out of Pocket, That's $.29 each can! Before you head back to school, visit any National Park this weekend, August 15-16th and get in FREE! 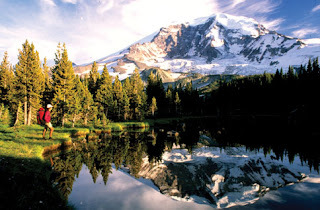 It is a fee-free weekend at more than 100 national parks that usually charge entrance fees. Go here for more information. So sorry for the lack of vacation posts, but today started off with an amazing hike with friends that ended with a fantastic lunch and concluded with a trip to the emergency room after a fall from the monkey bars! My little girl was on her LAST round across the monkey bars that she had been going on and on for at least an hour and then within minutes we were heading to the E.R. Double break and cast. If I could list the things she was excited about doing this week that I had to explain to her for 2 hours why we couldn't do anymore, it would break your heart. She was sooooooooooooooooo excited about horseback riding tomorrow - not happening. She was so excited about river rafting - not happening, and she was so excited just about playing tag in the front yard with everyone and it is just not happening. Breaks my heart. So...... I apologize for the lack of posts lately. I will try my best, but priorities are priorities and they start at home taking care of my sweet girl! Let me know all the great deals you are finding. I will be preoccupied for a while. 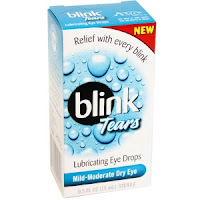 Blink Tears Major Overage at CVS!!! Thanks to zoeysmom for letting me know that in the 8/2 paper there is a $3 Blink MQ making the Blink money maker deal at CVS even sweeter!!! Final Cost after coupon and ECB = FREE plus $3.00 overage! Dont forget there is the -$1.50/1 printable if you don't have a newspaper! Time to roll those ECBs! Thanks stephanie! Goodness Gracious!!! 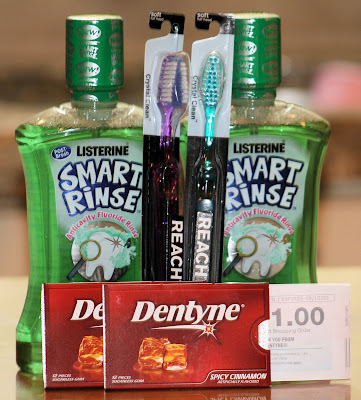 Look what goodorFREEdeals came up with this week for Walgreen's coupon matchup!!! Thanks Clenece! ALSO some Bottles have TRY ME FREE after Mail-in-Rebate Tags on them!! If you find those this would be a $3.99 MONEY MAKER!! IF YOU DON'T HAVE ANY COUPONS IT WOULD STILL BE A GREAT DEAL AT ONLY $1.58/8 AFTER RR!!!! Maybelline Great Lash Mascara $?